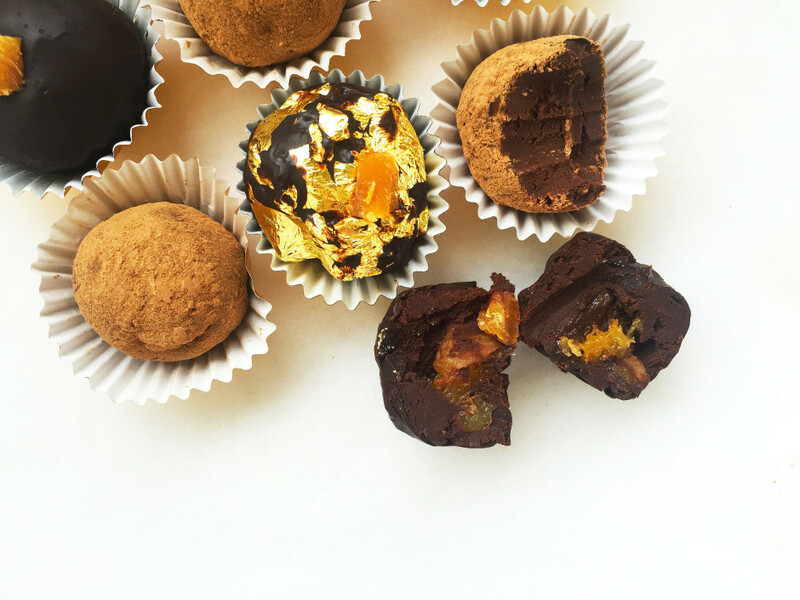 Okay, I have a confession to make – I made these Dark Chocolate Gingerbread and Apricot Truffles aaaaages ago… I know, I’m sorry I just couldn’t help myself. 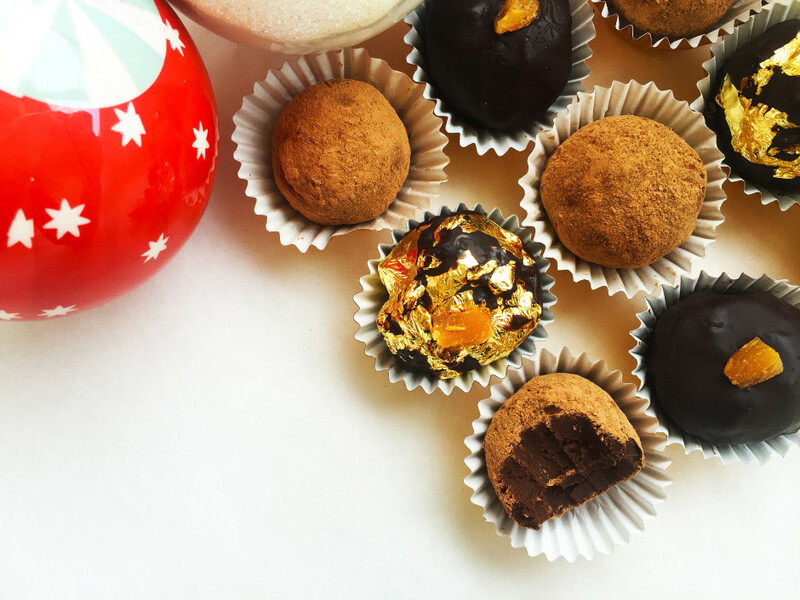 I bloody love Christmas and I bloody love truffles – and as you have probably gathered by now I love anything spiced or gingerbread flavoured. So it was a natural combination of ingredients for me to be combining but they still needed something extra special. Truffles are great simply left plain, but I sometimes crave them with a little more summat summat… I like some texture to them but chopped nuts just seem so… ordinary… I had to come up with something packed full of flavour and juicy – and that’s when I had the idea to lace these beautifully smooth truffles with some chewy, juicy, chopped apricots. 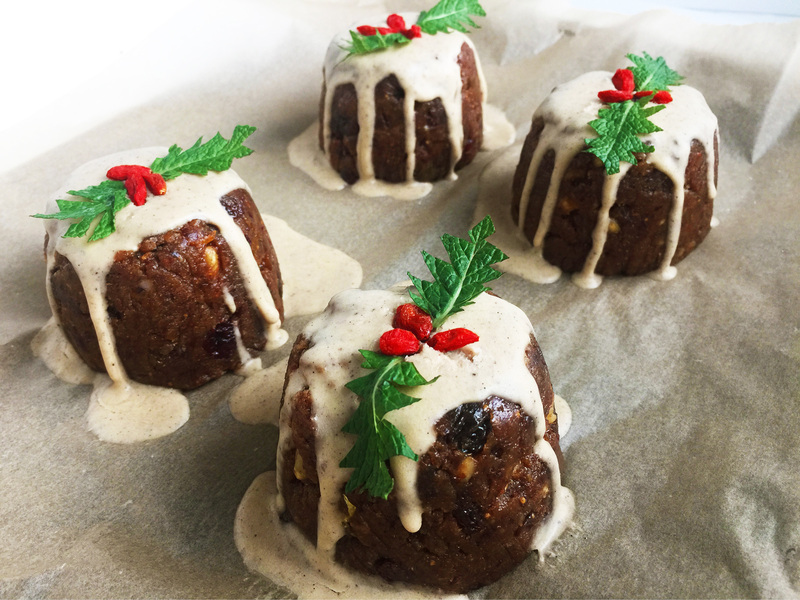 You don’t have to eat these at Christmas though – they’re perfect all year round and you can use the recipe as a basis to change the flavour to suit your preferences. 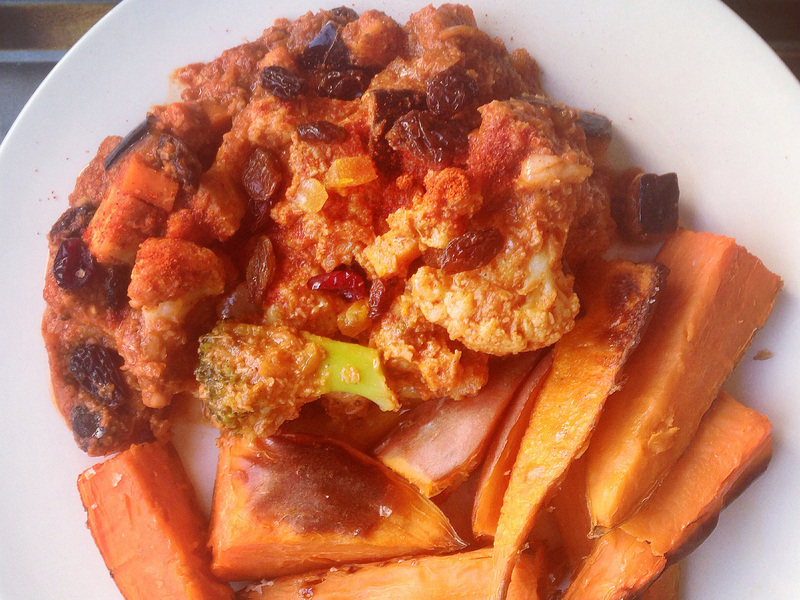 So enough of my blabbing – here is the recipe! Start by cutting your chocolate into fine shards, place into a medium sized bowl and set aside. In a small saucepan add your coconut milk, molasses, honey, spices, salt. Heat on a low heat until it begins to simmer. Stir frequently. Once heated pour your coconut milk over your chocolate and add your chopped apricots. Stir very gently, to prevent the chocolate from going grainy, with a rubber spatula until combined. Transfer your mixture into a sealed container and chill in the fridge overnight or for at least 4 hours. 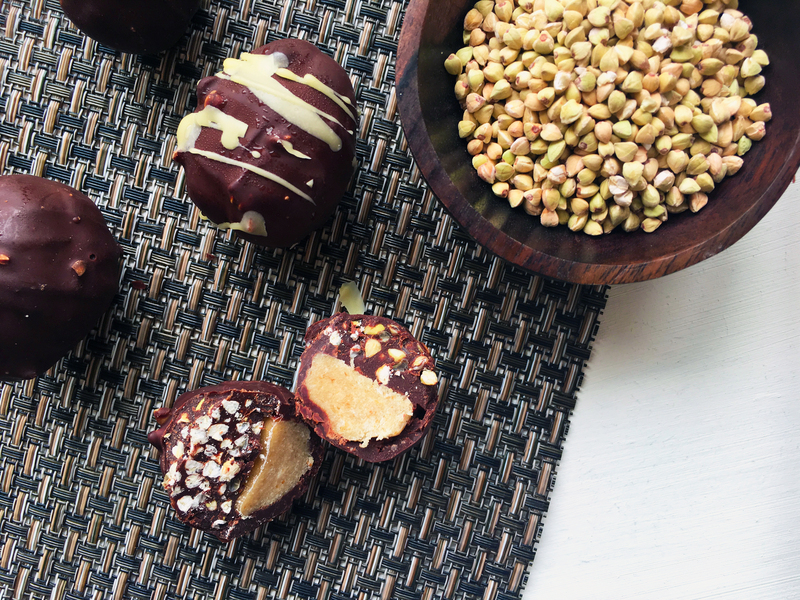 Using a melon baller or tablespoon measure scoop out your truffle balls and quickly but gently roll them in the palm of your hands into smooth balls. 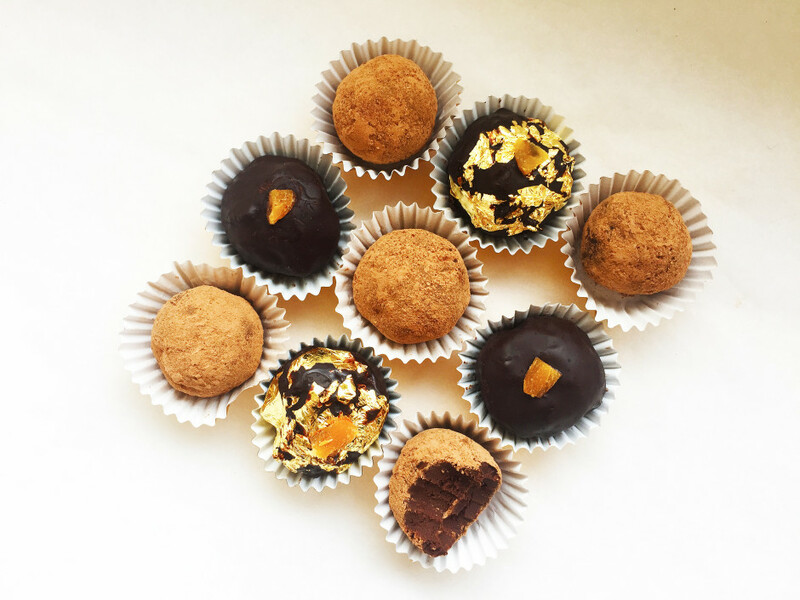 Combine your cacao powder, ground cinnamon, and ginger until evenly distributed. 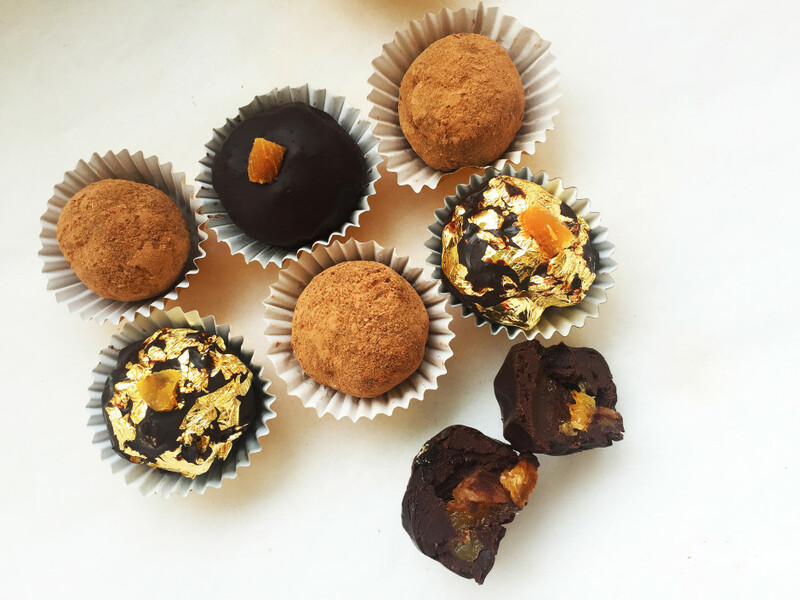 Coat half of your truffles in cocoa and gently tap off any excess with your fingers. In a bain-marie heat your chocolate and ground ginger on a low heat until fully melted. Using a fork gently roll the truffles in the chocolate and place them onto a lined baking tray. 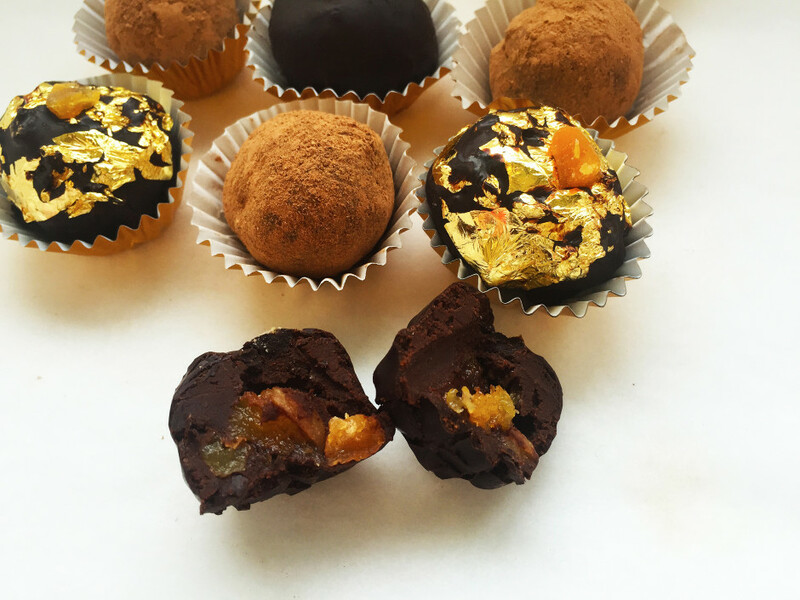 Top with dried apricots or even gold leaf! 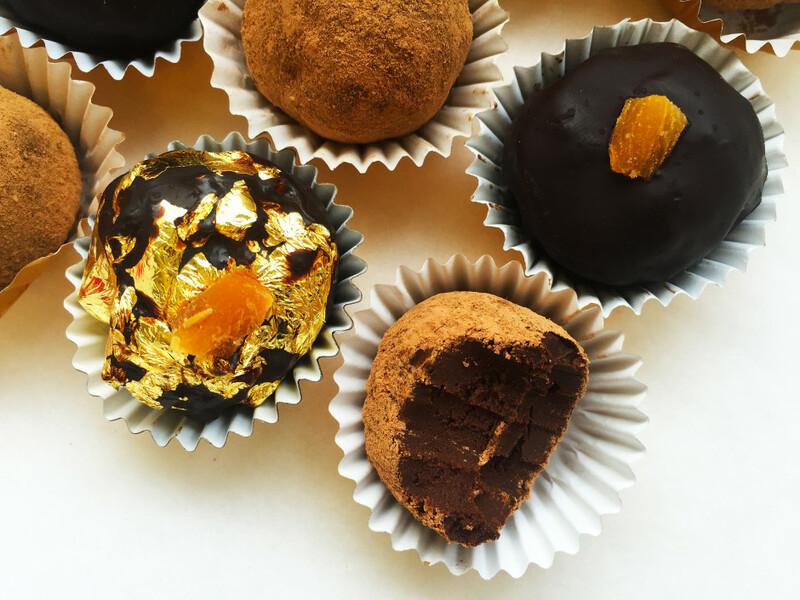 Store all truffles in an airtight container in the fridge for upto a week or in the freezer for 3 months. If storing in the freezer be sure to thaw out in the refridgerator before leaving at room temperature! You know, junk food is still junk food, no matter how “Paleo” it might be. If you’re eating much of this stuff in lieu of high quality protein and fresh fruit and veggies–in other words, REAL Paleo foods–you aren’t doing yourself many favors. Wow after all my 6 years of being Paleo I had never realised this. Thank you ever so much for letting me know this, next time I’ll add vegetables to my plate rather than these truffles. 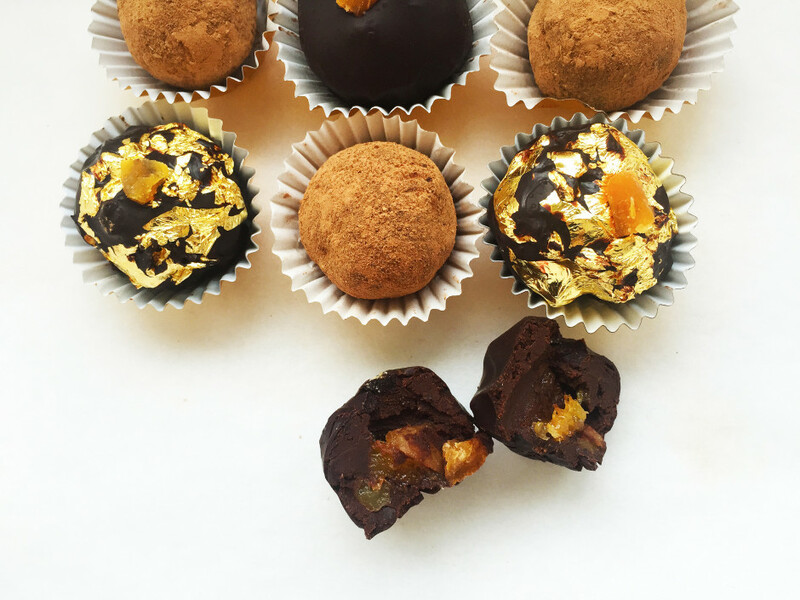 Truffles are good with dinner – right? They look amazing! I’ve never used fresh ginger in any dessert like this, must give it a go!